James Heneage has been fascinated by history from an early age, in particular the rise and fall of empires. He was the founder of the Ottakars chain of bookshops which, between 1987 and 2006 grew to 150 branches before being bought by Waterstones. James spent these twenty years reading and researching historical subjects before settling on the end of the Byzantine Empire as the period he wanted to write about. 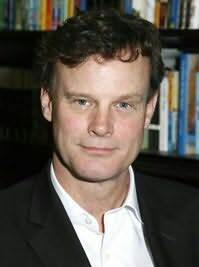 After Ottakars, he chaired the Cheltenham Literary Festival before setting up his own festival entirely devoted to history with author James Holland. The Daily Mail Chalke Valley History Festival is now in its third year and attracts around 30,000 people to its menu of talks, debates and living history displays. The first of his Mistra Chronicles, The Walls of Byzantium, was launched at the Festival in June 2013. Siward, scion of a great dynasty, commands the Varangian Guard and has vowed to defend the Roman Empire to the last. Makkim, renowned general to Ottoman rule, has vowed to destroy it. They are enemies in war, but unknown to them, they are also rivals to inherit one of Europe’s greatest fortunes. Even worse, they are competing for the love of the same woman .Their vast inheritance lies in Venice, as does the famous courtesan they both love. She is the reason they will find themselves fighting on the walls of Constantinople, in one of the most dramatic sieges in history. 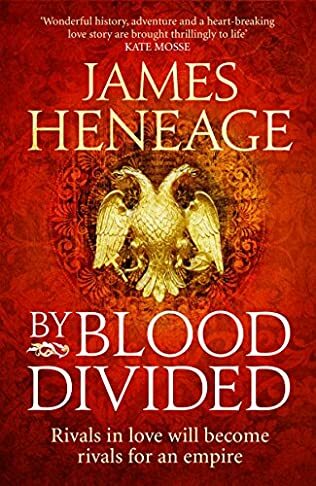 I always think when i pick up a book by James Heneage that i’m about to embark on an epic, and as such need to slow down my expectations, wade through a slow burn of meticulous detail, but ultimately come out the other end educated. I’m not sure if its the name, or the fantastically intricate covers… its just an instinctive feeling. Yet nothing could be further from the truth, all the books especially this latest one, are fast paced action packed and full of passion for the subject at hand. Set during the 15th Century at a turning point in history, east hit west in one of the greatest most dramatic and significant sieges in history, Constantinople. Siward Margoris the young commander of the Varangian Guard, the legacy of British/ Viking warriors, sworn to defend the Roman Empire to the last set against him is Makkim General of the Ottoman army who seeks to destroy everything the Romans stands for. This is East v’s West, for the destruction of last remanant of the Roman Empire, a clash of religions. Wrapped around it all is a tale of family, love and money. If i had to criticize anything it would be some of the weapon knowledge, EG: at the start a volley fire from bows at 500 paces destroyed an attack, that range is far to far, an average pace i s0.75m x 500 is 375m, that’s 410 yards, The current world record is about 360 yards and about the maximum distance expected in historic periods, and at this extreme range, accuracy is sacrificed to a storm of arrows, which this passage in the book didn’t have. Now i don’t expect to find utter accuracy, but to drift into the realms of fantasy was a bit much for me (but it’s my sport so I’m picky). Would i recommend this book, absolutely i would, and all the previous books by this author. I would not only say they are a wonderfully engaging read, with a passion for the characters and subject that shines through, but they also look blooming amazing on the shelf, the covers are simply stand out amazingly vivid. Go read… promise you will not regret it… but if you’re and archer… forgive the trespasses.